An award-winning recycling scheme is hoping its fifth anniversary year will be the biggest and best yet, with a little help from UK homeowners. 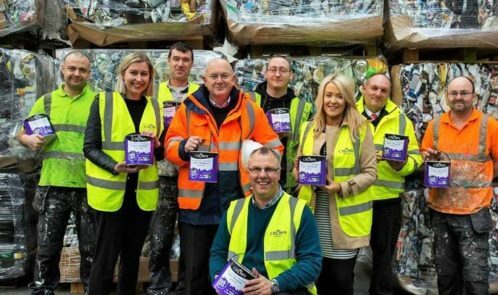 With the return of the annual Kick Out The Can recycling campaign, Crown Decorating Centres’ are urging householders to bring unwanted paint containers into their stores to help the environment, charitable projects and ensure they are rewarded too. Last year was the most successful Kick Out The Can yet with 20,000 containers of surplus paint brought into the network of 135 Crown Decorating Centres. Homeowners can drop off any brand of unwanted paint at their local Crown Decorating Centre from April 1st to 30th and as a thank you they receive a 20 per cent discount voucher which is redeemable throughout 2017.